I’m nervous. I’m nervous because I have never made a raincoat before. I’m nervous because I’ve never used a fabric quite like this before. And while I’ve made some t-shirts, skirts, vests, things like that, I don’t consider myself much of a garment sewer. But there’s a time for everything I guess. And I plan to learn. This particular pattern is in the current issue of “Stitch” magazine. 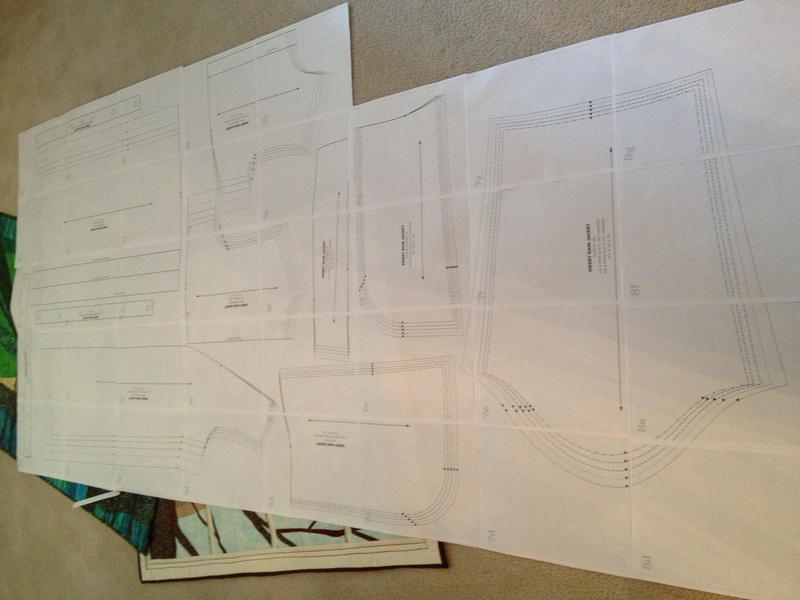 The fun part about getting a pattern online is that you get to print it out one page at a time and piece it together. This pattern was 66 pages…nice round number. But a heck of a lot of sheets to get in perfect registration and piece together! It’s impossible to work from a pattern that’s taped so the next step is to trace the master and create solid pattern pieces — both lining and main fabric. Next comes the task of sewing out a “muslin” or a test pattern. My muslin is of the outer fabric only. I just want to make sure it will fit properly. I have a “body double” which I used to work on the assembly. So far so good. 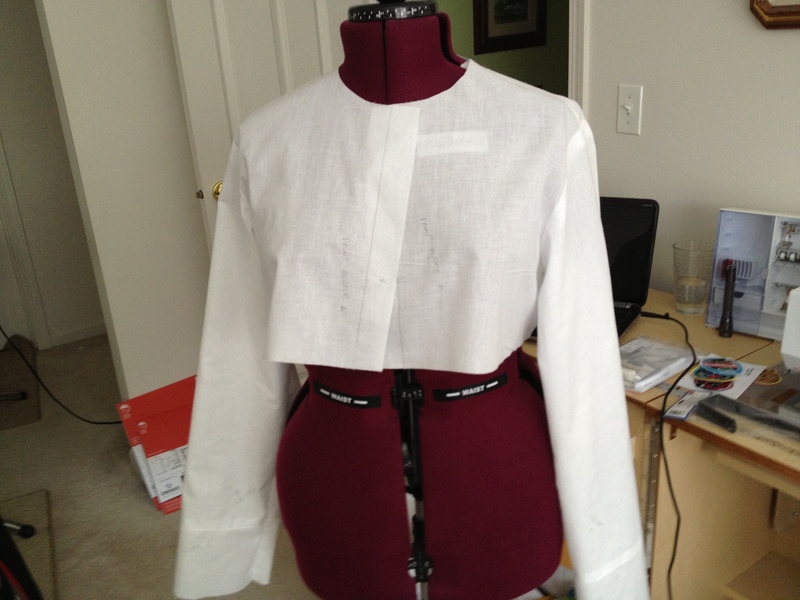 Once I got the main pieces sewn together, it was obvious that it was too long. The rest of it seems to fit OK for a jacket. I wanted it to be roomy. 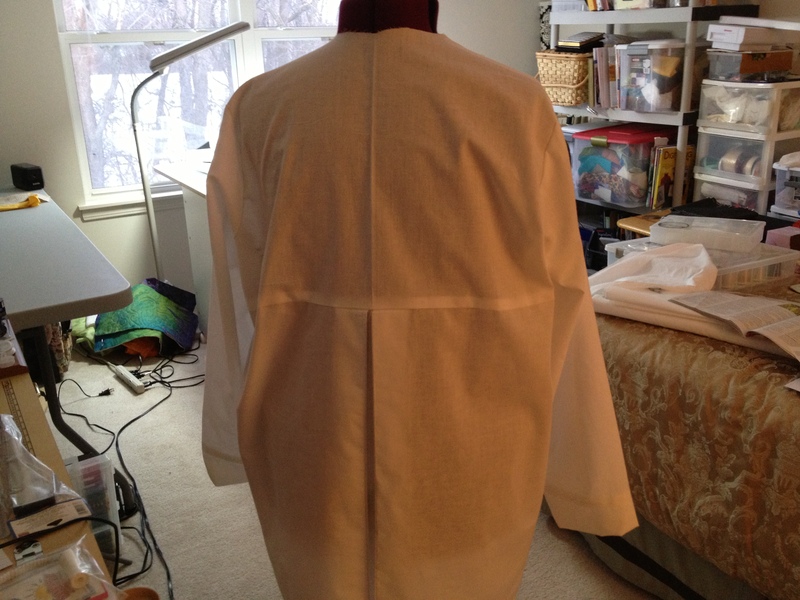 Muslin is complete, but I’ll have to lop off about 3 inches from the hem–I am slightly vertically challenged. Stay tuned. Ready to start with real fabric! It’s supposed to rain for the next two days. 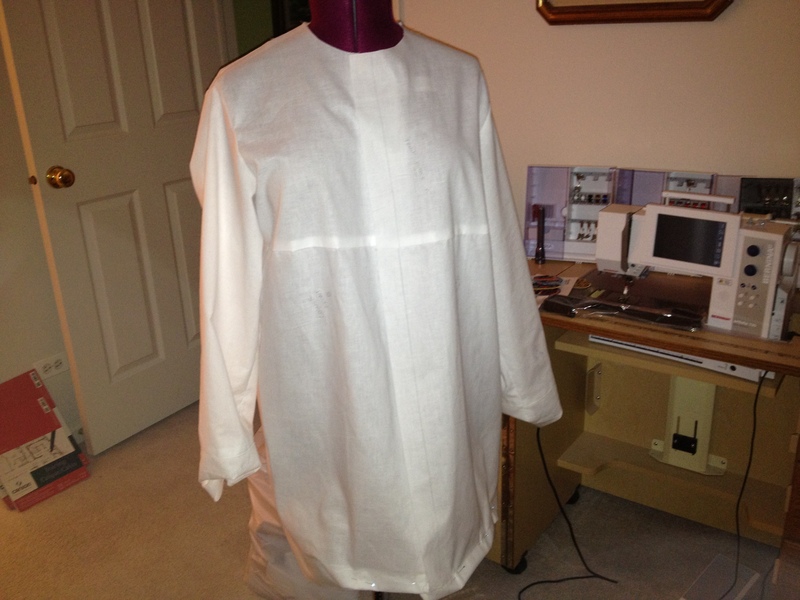 This entry was posted in sewing and tagged garment, lining, muslin, pattern, raincoat by edges. Bookmark the permalink.